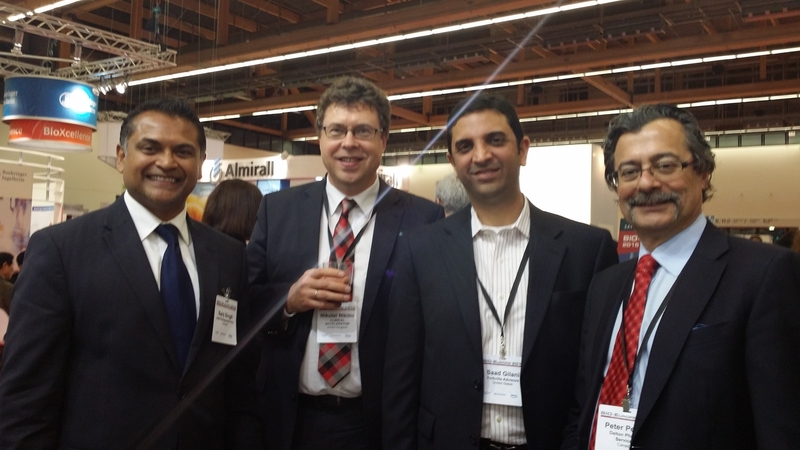 Clinical Accelerator thanks everyone who came to meet us at the BioEurope 2014 conference in Frankfurt! It was another extremely busy and very well attended event, which brought together so many companies and individuals involved in the life sciences sector in Europe and worldwide. There were more than 2,000 delegates attending BioEurope this year, representing 1,200+ companies and organizations from more than 40 countries. The conference program included 132 company presentations and there was a busy exhibition with more than 60 stands this year. We had 3 days of almost non-stop partnering meetings and attended some interesting company presentations. It was great to catch up with so many of our clients and partners – all in one place! We are looking forward to establishing and continuing our collaboration with all of our new and existing customers.